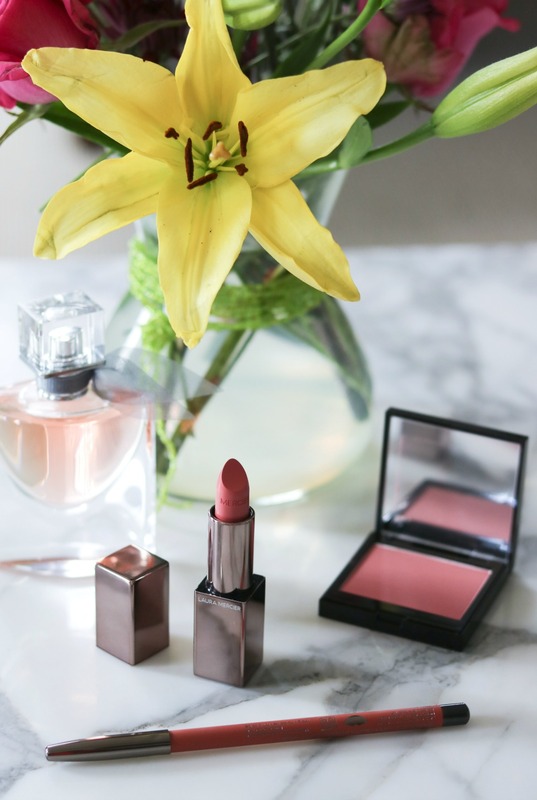 How the Laura Mercier Silky Creme lipstick has become a new staple in my handbag. First off, in full disclosure I have to say that the Laura Mercier lipstick, lip liner and blush seen in this post were gifted to me. But, my love for Laura Mercier truly does go back years. In fact, the first time I ever had my makeup “done” was years ago at a Nordstrom beauty event back in 2012. My mom and I booked appointments at Philosophy to learn all about their skincare range on a sunny Friday afternoon. When we were finished making our purchases, the gentlemen convinced us we needed to have our makeup done as well so off we went to the Laura Mercier counter. That’s when my love for them truly began….and it’s continued ever since. Everything from the tinted moisturizer and primers to setting powders, blush, foundation and bronzers all the way to the bath & body products have made their way into my hands. I’ve really worked my way through just about everything Laura Mercier has to offer. And no matter what it is, I’ve always come away feeling more than satisfied with the quality of the products. Even something like an eyebrow pencil! It wasn’t until that day where I sat in a chair at the Laura Mercier counter years back that I even began to think of filling in my eyebrows. But the way their Soft Brunette pencil so effortlessly filled in my brows – with a nice spooly at the end for taming – fully won me over. I’m a Laura Mercier “Stan” I tell ya! Given the years I’ve spent loving the brand, it’s actually quite exciting for me to be able to celebrate the latest lipstick launch with you. 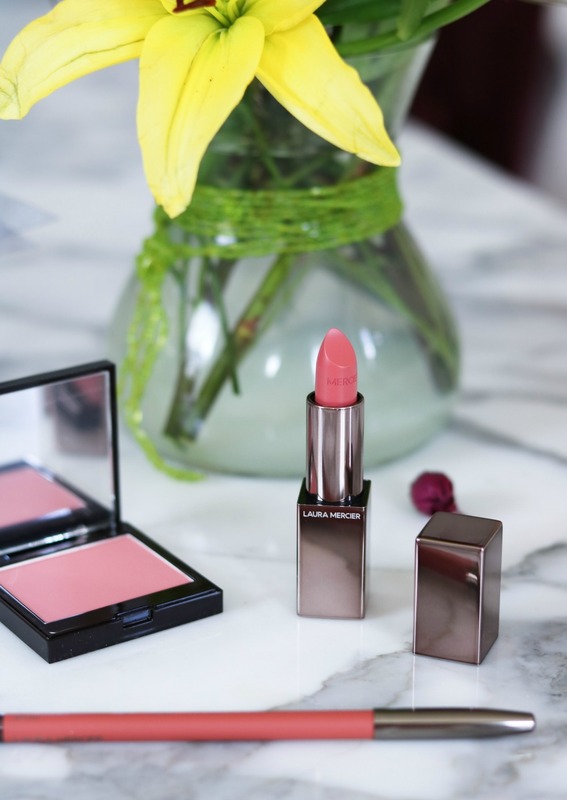 The Laura Mercier Silky Creme lipstick range was recently launched exclusively at Nordstrom. With thirty beautiful shades, the collection features all the classic lip shades you love from punchy reds, to deep burgundy, nudes, pinks and corals. 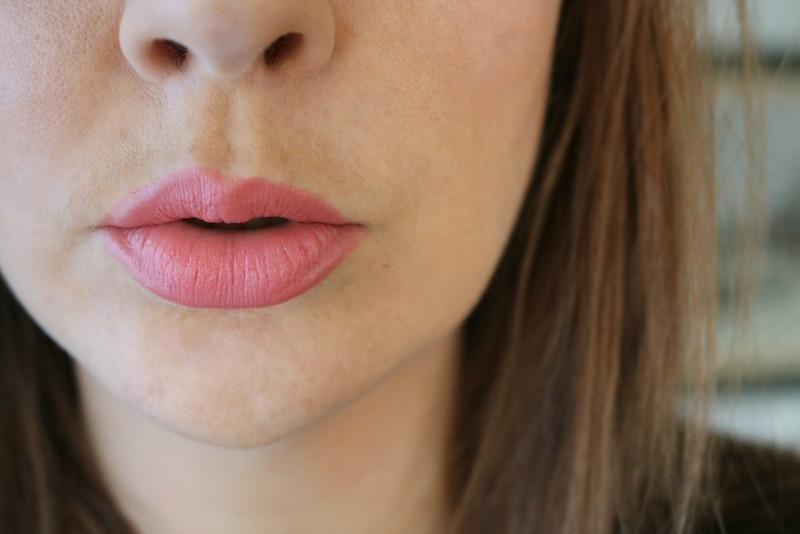 For years now, I’ve loved the Laura Mercier Creme Smooth lipsticks. 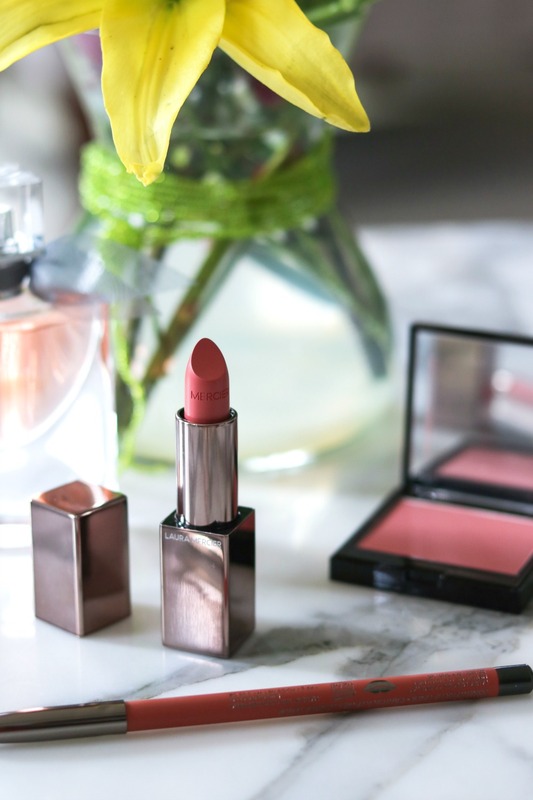 They’ve long been my everyday go-to and I’m particularly keen on “Antique Pink” as the perfect dusty rose shade. I’ve gone through a couple of those and you can guarantee I’m always toting one around in my handbag. 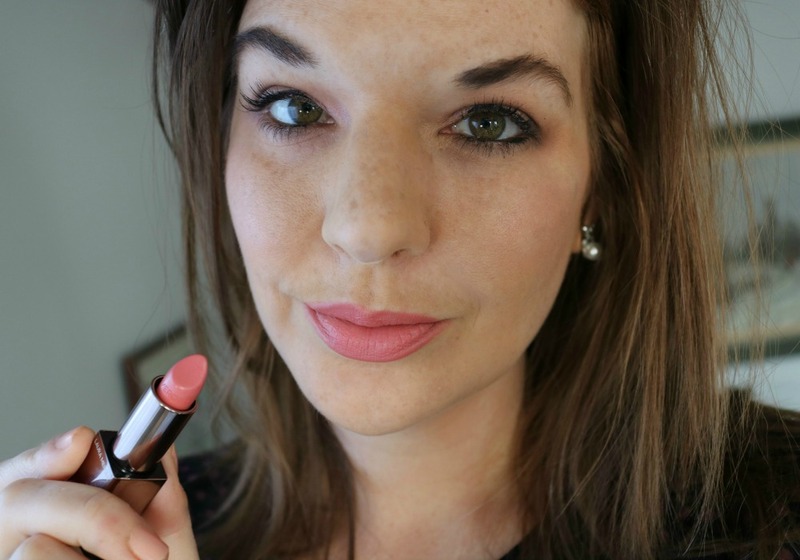 Already being a fan of the original Creme Smooth lippies…it came as absolutely no surprise to me that the Laura Mercier Silky Creme lipstick I selected instantly became my new favorite. What can I say? I’m a sucker for the smooth buttery feel of these Laura Mercier lipsticks. When worn, it’s truly like they’re giving your lips a hug they feel that nice. And *in* to my makeup bag this beauty went to carry me through the spring and summer months ahead. With thirty shades available, it was somewhat difficult deciding on one shade for this beautiful gifted package…but in the end I went for a beautiful color named “Nu Prefere”. It looked like the perfect peachy pink to usher me into the spring season and upon opening it, I knew I made the choice. It’s such a beauty! 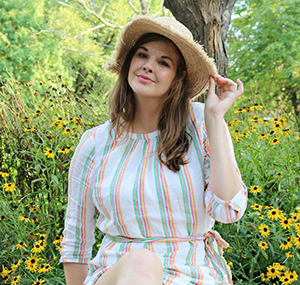 Along with it, Laura Mercier kindly included their “Baby Lips” Longwear Lip Liner and the two work perfectly together to create one seriously long lasting lip. 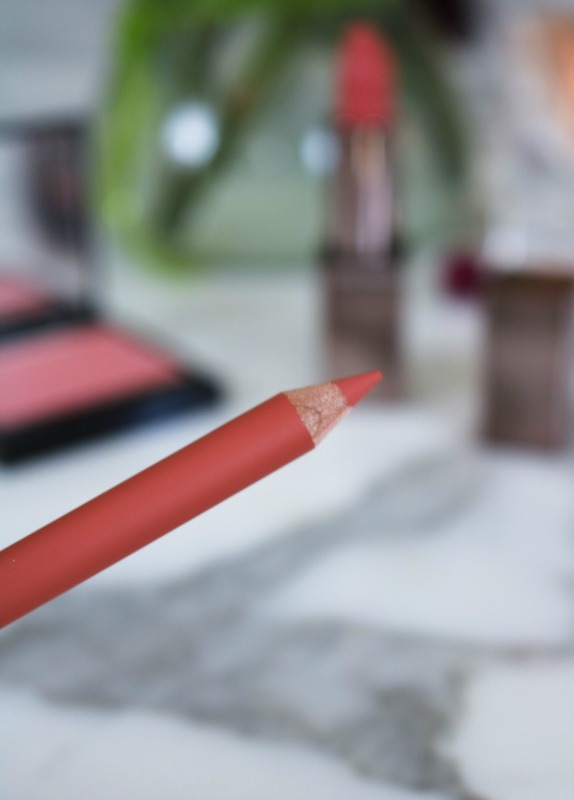 Obviously a lip pencil is an extra step you don’t have to take, but if you’re hoping to really extend the lifespan of your lipstick…it’s an extra step worth taking. As I mentioned above, these Laura Mercier lipsticks really do feel like you’re applying butter to your lips…although even better because there’s no need to worry about extra calories and the like. The big claim on the Nordstrom website is that the Silky Creme lipsticks are: A weightless, high-impact, statement-making lipstick with a satin finish. Across the board, I’d have to agree. I immediately notice, though, that there’s no declaration about the wear time and since that’s oh so important (to me, anyway) I really worked to put this formula to the test. Obviously, a satin finish will naturally give you more wear than say a glossy or shine lipstick. Matte lipsticks, though, usually take the cake when it comes to the longest wear time…and that’s where the lip line can come in to really help you out. Of course the lip liner is an added step, but if you’re going to an event or have a long day ahead without time for touching up…it really does give the lipstick a nice boost. Wear Time WITH Lip Liner? 6 Hours…and that’s with a coffee test because obviously this girl needs her caffeine.